Quail Homes has been in the Northwest home building business for over twenty years. 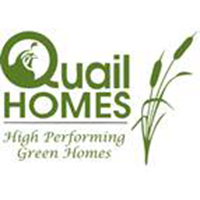 Quail Homes weathered the current housing crisis while others failed because we practice sound business principles. We believe in doing things right and have never cut corners to generate more profit. We have a commitment to quality. Company stability and quality customer service result from a stable and experienced work force. Many of our employees and subcontractors have been with us for the last twenty years. When we work with the same subcontractors for every house we build, warranty service is never a problem. Our subcontractors are always happy to take care of you, our customer. Customer satisfaction is the primary goal at Quail Homes. We want to exceed your expectations before, during, and after construction. We are dedicated to helping you to customize any plan that you choose to fit your lifestyle, and we will ensure that you are well informed and educated throughout the entire homebuilding process.